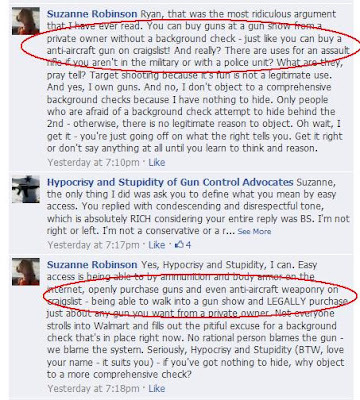 These are the kinds of people contacting their legislators in support of more gun control. Also voting and breeding. We're doomed as a nation and a species. The other is a series of spin off episodes by 'Zombie Orpheus, the people who brought the 'Gamers' films. My credit card weeps but my dice bag doth rejoice. ..And stuff it where the sun don't shine, right next to your head. Two IL State Senators think that " gun-rights advocates have to compromise." over CCW and they are putting up a bill carving out Chicago as an exception. Screw you both. We've tried 'compromising' for years. Now we don't have to. We have a handy dandy little court decision saying we're getting carry June 9th whether you like it or not. YOU'RE the ones that need to 'compromise'. Get that through your ivory tower heads. Give ol' Sen. Bivens and Sen. Raoul a call and tell them what you think of their 'plan'. This is a post on FB I put up and was suggested I put up here as well. Not a perfect history but it gets the point across plus a little addition. For those claiming that the US Senate is 'broken' due to the latest failing of anti-gun bills in the US Senate, remember this. Cloture votes were originally created in 1917 by Wilson and a Dem Senate in order to push through bills that were being blocked. In 1975, the Dem Senate modified it to the current 60 vote system. In 2005, the Dem minority (and main stream media) vilified the majority Rep. for trying to limit filibusters w/ the 'Nuclear Option' which the Dems. later embraced when they regained the majority. And just a few months ago, the Dem. leadership passed a 'reform' that did nothing but allow them to say they did something, all because they knew they would still need it when they lose the majority again. Just like the claims that the Senators who voted against the various anti-gun bills were 'bribed', it is conveniently ignored that Bloomie and O's OFA dumped millions into this campaign as well nevermind the Joyce Foundation dollars that went into promoting the bills through their various puppet groups. This is politics in action. They run the hill to maintain their own power base. It has nothing to do w/ 'The People'. Expected but still entertaining to read. And in the IL General Assembly, they decided overwhelmingly that pulling investments from one of the only industries that's actually making money right now was a bad idea. 46-69 w/ 2 voting Obama. Chicago politicians are stripped of their ability to carry firearms 94-14 w/ 8 voting Obama. These two now go to the IL Senate. The decent CCW bill HB 997 is expected either late tonight or tomorrow. TONIGHT. Debate now. IL Carry forum. Rep Cassidy goes on about 'laazzzzerrrrs' and that no license could be revoked. How do these idiots get elected? The Chicago-crats basically just voted for Constitutional carry as the Shall Issue bill 64-45 and 4 Obamas. It needed 71 to override Chicago. President Obama accused members of Congress of having "a pretty shameful day in Washington," a reaction to the Senate's failure to pass a key gun control measure that would have expanded background checks. Poor Zero. He really hates that 'powerful gun lobby' that represents millions of people in comparison to his anti-gun lobby that represents millions of dollars. In shooting their wad, they showed their true colors. They want gun bans and as many restrictions as they can get. We not only have the introduced legislation but also the voting records to prove it. Keep up the fight! Today common senese gun legislation on both the federal and state level was defeated. While this is a setback - it is not the end of the fight! If anything, it is even more of a reason to hold our elected officials accountable. The spotlight is turned brightly on them and we must not stop pushing for common sense gun laws on either level. Mmmm. Gimme some sugar baby. Your tears are sweet. And as per 45Superman and Miguel, the anti's are already wishing dead children on those who support Constitutional rights. Manchin-Toomey fails in the US Senate 54-46. June 9th is close baby. Update: Unsurprisingly, both of Illinois' turd senators voted for M-T. They also both voted to ban the majority of firearms in the US, Mag bans and Durbin against veterans. What this whole flaming mess was was a who's who of endorsements and opposition for the next election cycle. Not sure what world he's been living in but there have been regular calls by people like him to declare the NRA, Tea Party, etc as 'terrorists' and threatened w/ incarceration. They are using shootings like Sandy Hook to curtail our civil liberties and support internation restrictions through the UN. But those don't count since they're civil liberties he doesn't like. But this racist garbage will be ignored by the MSM. If it had been a hope that the scum was 'Muslim' or 'Black' we know what the response would be. Update: Ok, this is from last year. They didn't have a date but had current news surrounding it. in the case of a motorist who was shot and killed along Greenwell Springs Road Friday after a fight with a police officer. Investigators say an autopsy shows the deadly bullet was fired by a bystander, not the officer. Police also announced that no charges would be filed in the case, either against the police officer involved or the bystander who fired the fatal shot into the head of George Temple. Instead, anti-gun advocates would have preferred that the CCW be disarmed, the police (and everyone else) be at the mercy of criminals and charges be filed against the one who saved the officer. Her daddy and Quinn want a 'may issue' CCW bill in Illinois (which is anti-gun code for keeping guns away from black people). And in her wisdom as Illinois AG (which her daddy bought for her) she thinks that the SCOTUS not accepting a case means that it is constitutional. Another word I don't think means what she thinks it means. "The police need to arrest the people that did those bombs" "I hope those bad guys don't come here"
Yep little guy, you're right. Hopefully it's that easy. I grew up in EP and still have family there that I visit and care for regularly. 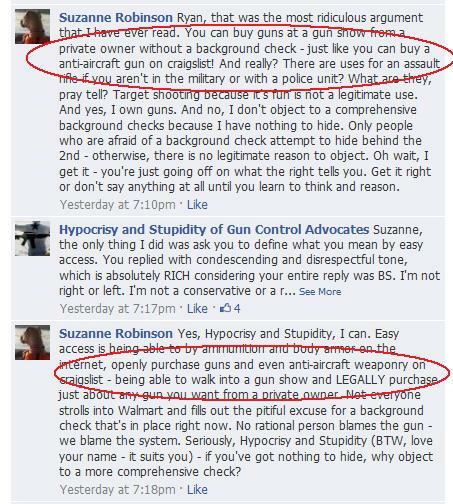 I was disappointed to discover that you are a member of NY Mayor Bloomberg's anti-gun group. It has nothing to do with 'Illegal guns' and everything to do with promoting his personal agenda of restricting firearm ownership among those who actually follow the law. I would strongly urge you to reassess your decision to be associated with him and his unconstitutional agenda. Checking today, I saw that he is no longer listed on the MAIG page as a member. 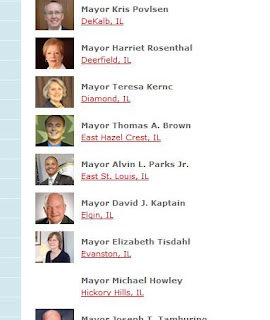 There are several new members but several others that have dropped off as well meaning that Chicago likely has one or more of those MAIG/taxpayer funded employees advocating for membership. 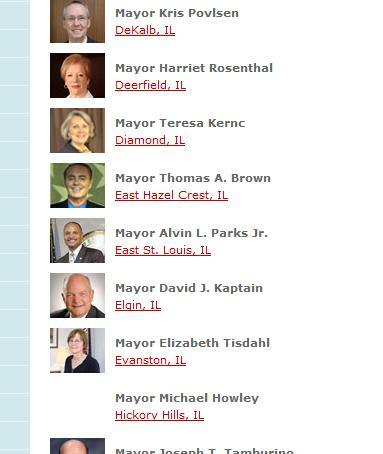 Illinois residents need to contact their mayors and make them see the light. Don't forget to thank them when they drop out.